Product #60618 | SKU 6-1002 | 0.0 (no ratings yet) Thanks for your rating! 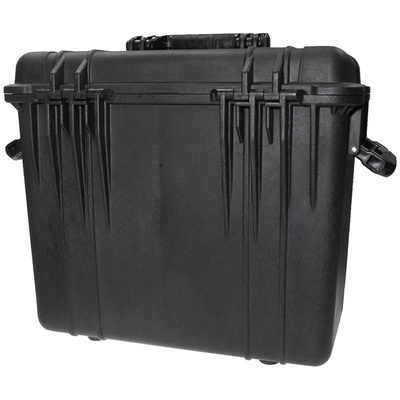 The Cinegears Pelican 1440 Case with Padded Dividers and Lid Organiser (Black) is a waterproof rolling hard case designed to store and protect your gear. The included padded dividers can be distributed within the case to fit your gear requirements and accessories along with small essentials can be stored in the lid organiser's pouches. To transport this case, extend the handle to roll the case using the built-in wheels, or grab onto one of the three built-in fold-down handles to lift the case. A purge valve ensures the case will acclimate to pressure changes due to elevation while retaining its waterproof nature.